I have a problem. I have too many clothes. I know loads of girls with a closet full of clothes and shoes, so I know I am not alone in my fashion hoarding ways, but lately I have wanted to declutter and edit my wardrobe. I blame it on my minimalistic Spanish boyfriend for making me feel bad about my clothing collection. The problem is I just can’t clean out my closet alone. I need motivation. 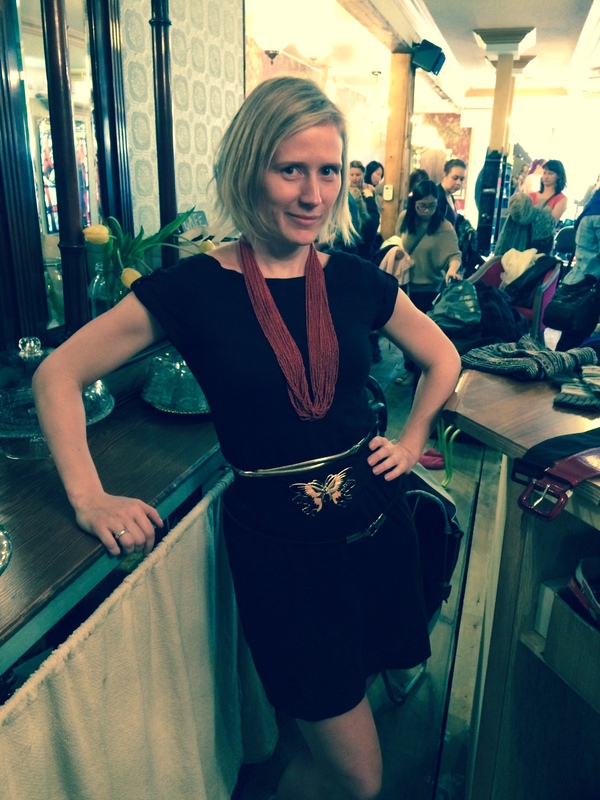 Thankfully my friend Des who owns The Beauty Parlour was up for hosting a clothing swap. I’ve helped her organize a few swaps at her clean air salon over the years and the event has always helped me purge a few loveless items I was holding on to. I’m also a bargain hunter so the opportunity to pick up a few additions to my closet for free is right up my alley. Des came over to help me go through my closet and she was ruthless. She made me pull everything out of my closet, try it on, and after hours of hearing ‘no, no, that’s had its time’, I looked down to find 5 enormous bags of clothes that were no longer allowed to stay in my closet. The concept for a swap is simple – look through your closet and pull out any new or gently used items that you no longer love, fit, or are wearing. Bring them in to a swap – let them go – and explore what others have brought to see if anything tickles your fancy. In years past we asked people to drop off their clothes and we sorted through them before the swap. This was extremely time consuming so this time we asked people to be more involved in the event. 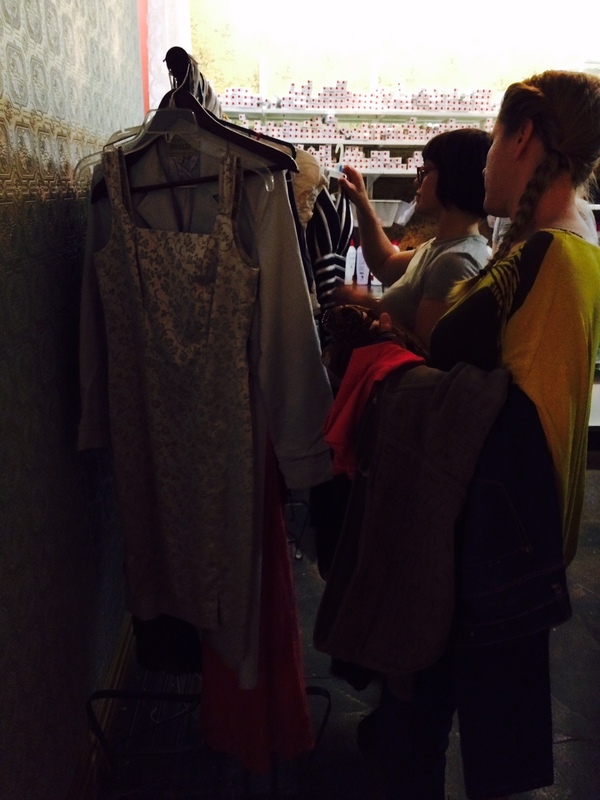 We opened the doors at 6 p.m., gave them 10 minutes to hang/sort their own clothes, and then started swapping. 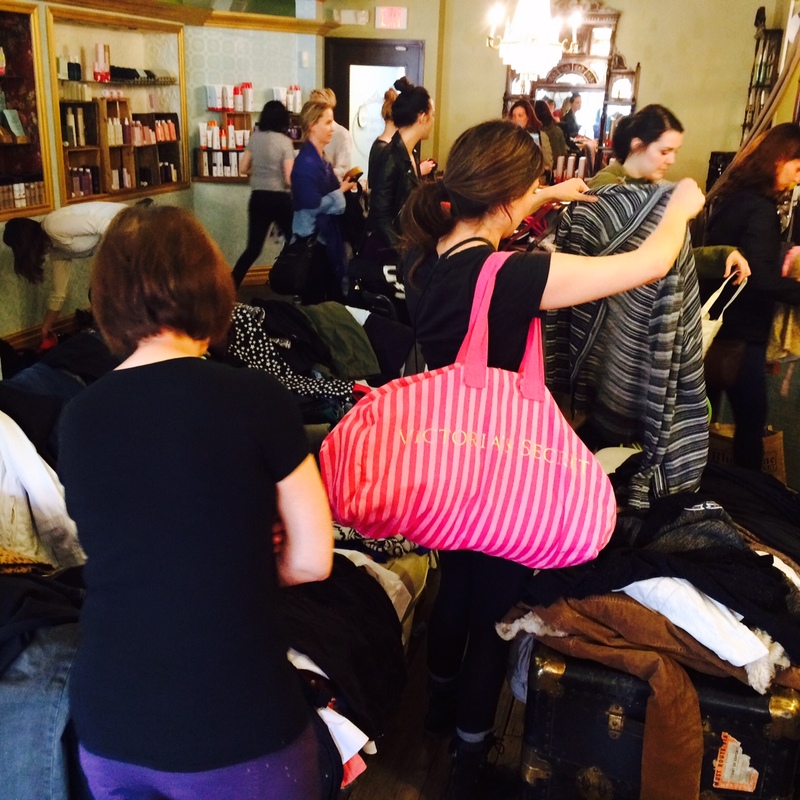 There were close to 60 ladies who showed up with bags in hand – ready to partake in some fashion recycling. 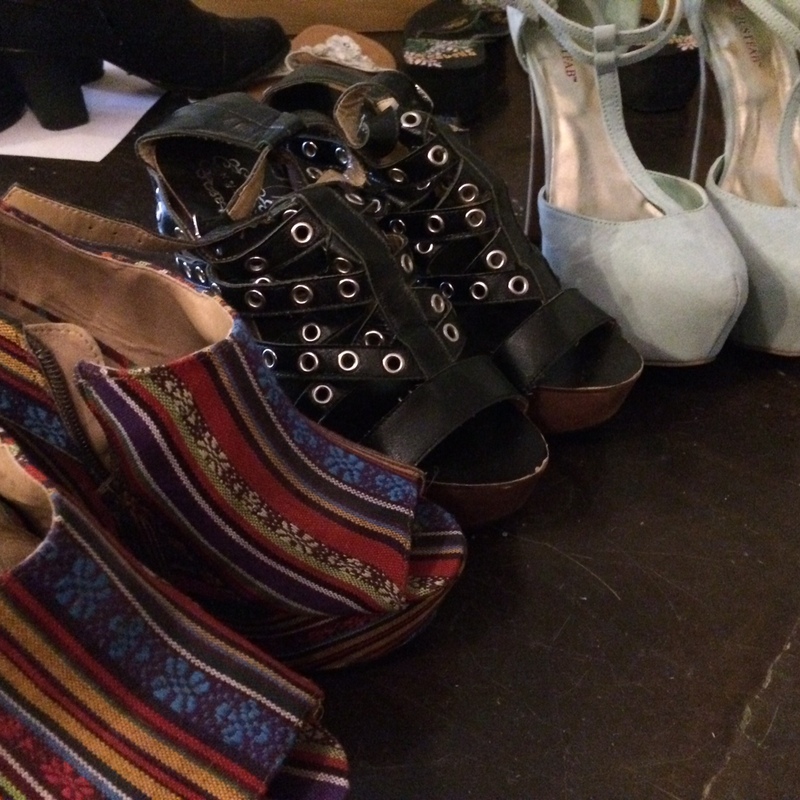 Shoes, belts, scarves, dressed, coats, jeans, skirts, accessories… we had it all. Surprisingly, everyone was calm, cool, and collected. This time around I wasn’t eager to add to my closet – Des made me hang up all my clothes rather than hide them in drawers and the sheer amount was still shocking to me. 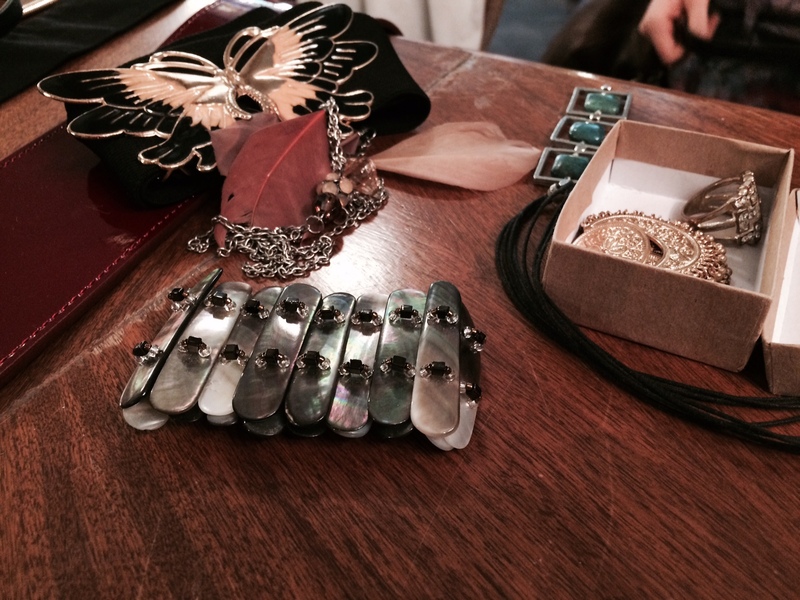 However, there were just too many things in the room for any of us empty handed. I laid low, playing around at the accessories table (why can’t I rock 3 belts at once?) But as things were slowing down I strolled around and I did find a couple of treats – A pair of over the knee black flat boots, a BCBG dress, some sandals, a vintage dress, and a couple of shirts. 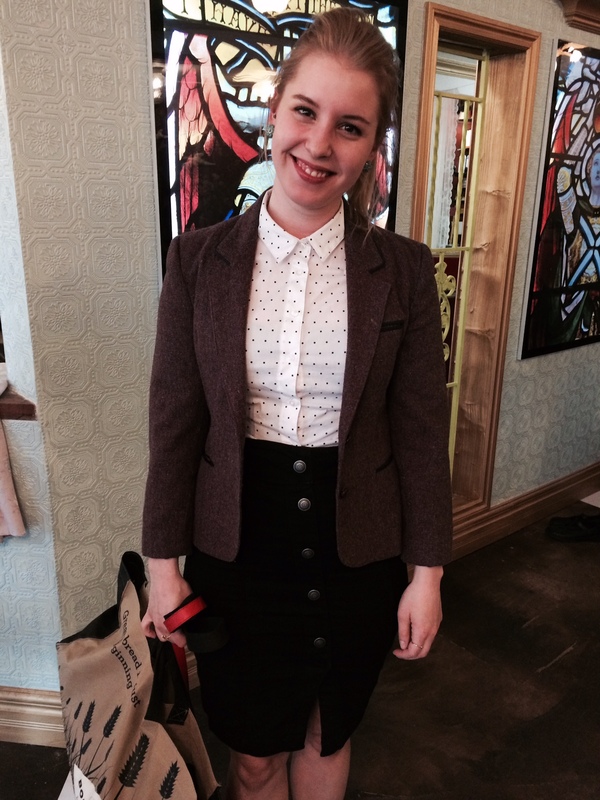 A highlight for me was seeing this lovely lady walking around with a blazer I had donated to the swap. As excited as I was to score a few things – I was happy to see some of my former closet walk out the door with another style swapper. The swap motivated me to clean out my closet and helped me score a few new looks for summer and the rest of the clothes were donated to the Women’s Emergency Accommodation Centre. With just a little bit of effort and planning I made my closet more green, saved myself some money, and helped my community. I can’t wait to wear my new BCBG dress (which didn’t cost me a penny!). Fashion recycling – you should try it.